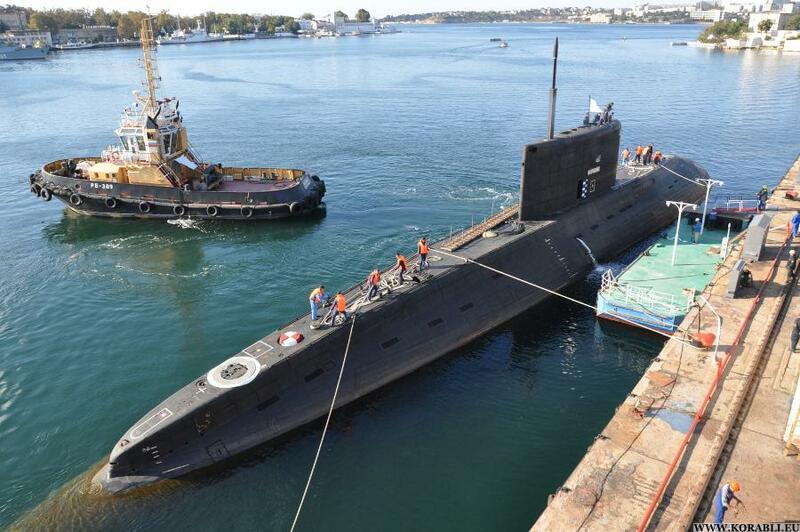 MANILA -- If the Philippines has no money to buy its first-ever submarine, Russia is more than willing to provide the country "soft loans" to acquire the specialized underwater craft, Department of National Defense Delfin Lorenzana said Thursday. Lorenzana said Russia is keen on selling to the Philippines its Kilo-class diesel-electric submarines, which has surface displacement of 2,350 tons, a length of 73.8 meters and capable of speeds up 17 to 20 knots. It can be armed with a variety of torpedoes, missiles and naval mines and has a cruising range of around 6,000 to 7,500 nautical miles. In the ASEAN region, Vietnam is known to operate six improved Kilo-class submarines in its fleet. "Kung wala tayong pera pahihiramin tayo ng Russia, soft loans (If we don't have the money, Russia will lend us soft loans)," Lorenzana said Thursday. "Soft loan" refers to financing with no interest or below market rate of interest. Lorenzana said the country is still looking at other possible submarines suppliers in Europe, including France, noting that the country's submarine acquisition program, including possible suppliers, will be most likely finalized in the next 12 months. "Maybe within the year, maybe within the next 12 months. Maybe we could finalize this. If this is approved, it will take them four years to make it, so it could be delivered when the term of President (Rodrigo Duterte) already ended," Lorenzana said. Earlier, the DND chief said for an island nation like the Philippines, its defense can be considered incomplete without a fleet of submarines. "For a nation with maritime territory especially island nation, its national defense is incomplete without (a) submarine," he added. Lorenzana noted that an effective active submarine force is a great deterrent for would be aggressors due to its capability to travel underwater, giving it the element of surprise. A submarine force is a great morale booster to the Armed Forces of the Philippines, the DND chief added. Meanwhile, DND spokesperson Arsenio Andolong said the acquisition of the country's first submarines will be brought forward to Horizon Two of the Revised Armed Forces of the Philippines Modernization Program (RAFPMP). The procurement of the underwater craft was earlier scheduled for Horizon Three, which is expected to run from 2023 to 2028 while Horizon Two is scheduled from 2018 to 2022. The budget for the program is roughly placed at PHP300 billion. Horizon One covered the 2013 to 2017 period and resulted in the acquisition of the three Del Pilar-class frigates, 12 FA-50PH light-lift interim fighters, two strategic sealift vessels, to name a few. Lho..dah afa kabar "akhirnya" itu tho mas..? Ula class U-210 lebih advance dari Cakra class ya mas'e..? Kecil kemungkinan kilo diakuisisi philipine. Besar kemungkinan kasel PT.PAL yang diakusisi. ..." ya ampuuuun ich ich jebreeeeed goal goaal goaaaaaaaal "
...masalahnya Malon Beruk punya Uang nggak ??? Gak mungkin diakuisisi PH, ada embargo militer dari US.